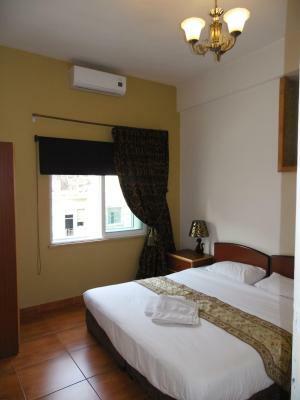 Lock in a great price for The Boutique Hotel Amman – rated 8.7 by recent guests! The staffs are very nice, they are willing to give help anytime. They provided many useful information about Amman, and even helped me find bus to Dana, which saved a lot of money. also the hotel has 24hrs hot water. The room is always clean and it has everything you need. The location is great and easy to access most of the interesting sites by foot and also many restaurants and cafes around too. The staffs are very friendly and helpful that made me feel at home ! Everything​ perfect.​ really​ recommend.​ Please​ choose this​ hotel. Verry good​ location​ in​ downtown but​ not​ noisy(verry​ good​ sleep), near​ cheap restaurant​ and​ shopping​ center.​ Bed comfortable with​ heater in​ room, 24H hot shower.​ Everything perfect.​ Ali is​ a​ good​ adviser and​ friend, can​ help​ everything.​ Feel​ like​ at​ home.​ ^^ Thank​ you​ so​ much​ Ali. Amazing staff, very clean room, excellent location, great value for money. Friendly helpful staff that liked their jobs and took interest in their guests. Breakfast was good, nice selection including eggs. The air con broke while I was there and within 1 hour a repair man came and fixed it. Fantastic location. Very central. Staff was amazingly helpful and kind, rooms are clean, highly recommended. Centrally located in downtown Amman only a 10-minute walk from the Roman Amphitheater, the Boutique Hotel offers simply furnished rooms. Free Wi-Fi is available in all areas. 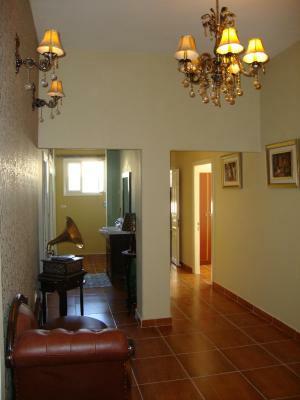 The rooms are air-conditioned and have ceramic flooring. All rooms include safety deposit boxes and wardrobes. A simply continental breakfast and afternoon refreshments are provided daily for guests. A 24-hour front desk is available and the tour desk can provide information about Jordan. 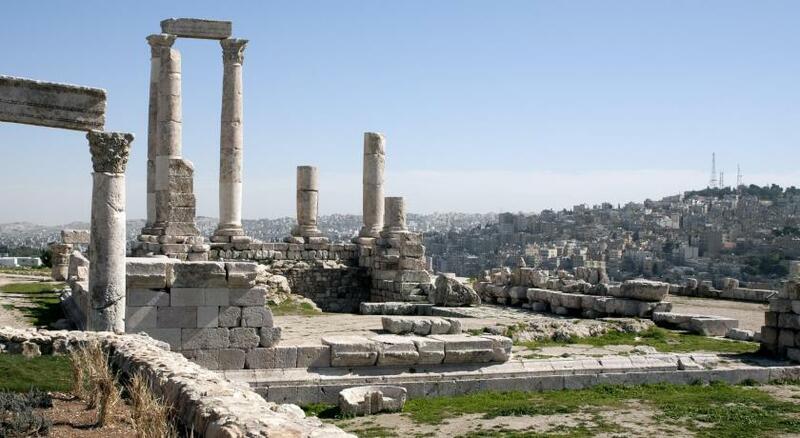 The historic Amman Citadel is only a 20-minute walk away. A shuttle service can be arranged for Queen Alia International Airport, a 40-minute drive away. 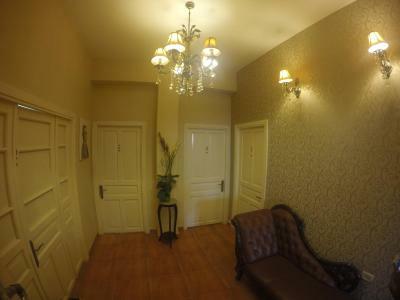 뀐 Located in the top-rated area in Amman, this property has an excellent location score of 9.6! 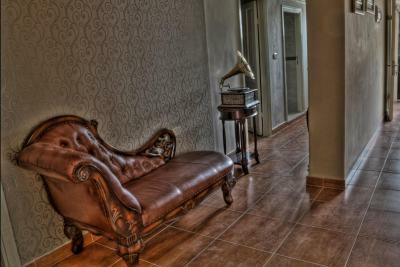 When would you like to stay at The Boutique Hotel Amman? 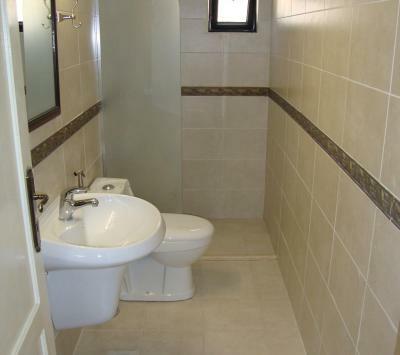 This air-conditioned room has a private bathroom. Each has a king size bed with a view of a street with restaurants. This air-conditioned room features its own private balcony with views of the main street. It has a private bathroom that comes with a shower. 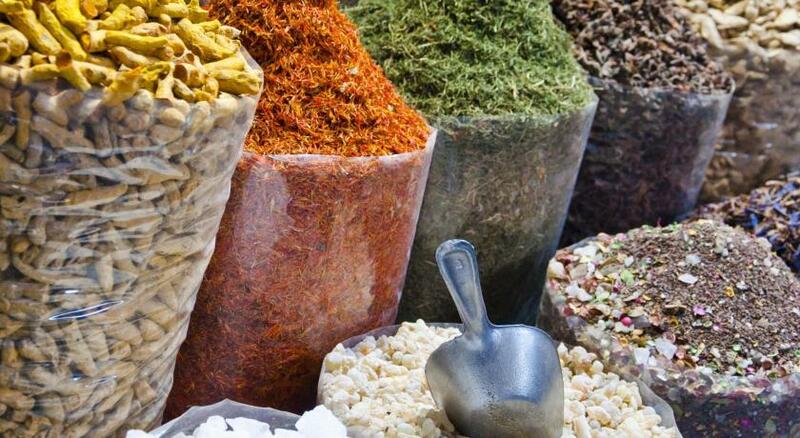 House Rules The Boutique Hotel Amman takes special requests – add in the next step! The Boutique Hotel Amman accepts these cards and reserves the right to temporarily hold an amount prior to arrival. Please note that Arabs are not allowed to stay in the 6-bed dormitory rooms, regardless of their nationality. The hotel might be boutique, but the dorm isn't. Too far from the toilet, sheets for the blanket, no locking the door. For 1jd extra I had stayed in much better dorm in Amman. The hotel is a little hard to find - I initially walked past it. Great location. For such a central and densely-populated part of Amman, I was pleased with the size of the room and the private bathroom. Staff were helpful, though sometimes distracted. The decor was fun, and the room was clean. Rooms are quite small and a little tired. Our room only got cleaned once during our four night stay. Great location and staff very friendly and helpful - they can help book tours to the Dead Sea and other sites along the way. Beds were comfortable. Maybe the breakfast is a bit overpriced, but nothing too bad either. 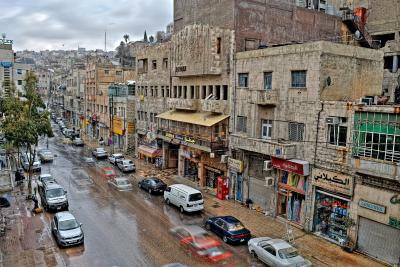 It is located in the center of Amman, which gives a good perspective of how busy the city is, but also from walking distances from the Roman Theater or the Citadel. The room was good and the person at the reception was very helpful when we arrived. The hotel was clean and it is small, so it gives a nice sensation of privacy. 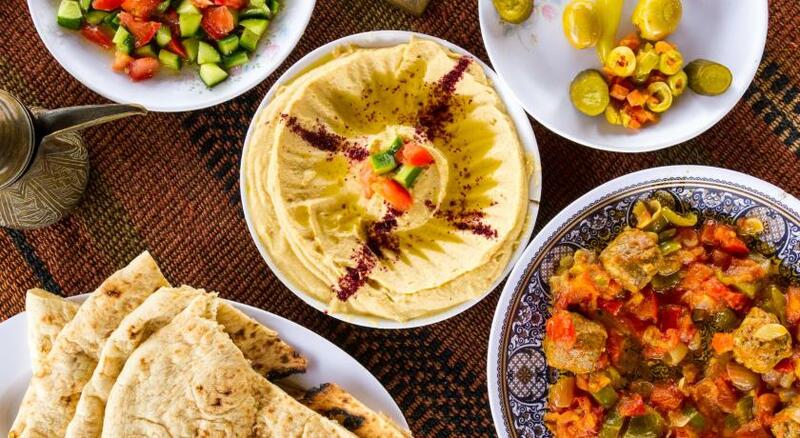 The hummus at breakfast was the best I tasted in my trip to Jordan! The mattress was uncomfortable and the room very small. Staff was friendly. The hotel is very close to downtown and rainbow street is only a five minute walk. Pretty narrow staircase an the elevator would help if you are with heavy luggages or baby stroller. However, it's a typical old building in city center, not a huge new hotel with spacious staircases. Perfect location, in the very center of Amman. Small cozy hotel, very quiet inside. Helpful staff, gave some recommendation what to visit, what to buy, where to eat. Location of the hotel is amazing. The receptionist helped us with all our queries and allowed us to keep our luggage after we checked out. Very kind and helpful! The people who work there! The position of the hostel, it is really clean! The location is perfect, right in the heart of Amman Downtown. Rooms are quiet. They are also making day trips to different locations. If I haven't stayed at Nomads during the same trip, this note probably would be higher, cause I've learnt to to expect too much for the local small hotels. But the comparison made me feel more disappointed in retrospective. The room was super tiny and very dusty, the bathroom was not very clean, extremely small and uncomfortable, and windows letting in every single note from the morning azzan. Again, Nomads was just couple JOD more expensive (if you include breakfast) and the standard is just unimaginably higher. The personel was nice and the location is very good (unless you want to park a car).